The other day, I was thinking about some of those songs that end up featuring on every other list I make. Songs that are perennial favourites of mine, because they are those rare combinations of brilliant music and equally brilliant lyrics, singing, picturisation—everything. Songs like Aage bhi jaane na tu, Yeh duniya agar mil bhi jaaye toh kya hai, and Lag jaa gale ke phir yeh. Lag jaa gale ke phir yeh made a thought pop into my mind: that a fair number of Hindi songs are an invitation to be hugged. That might seem fairly innocuous, but in the good old days of nodding flowers and birds putting their beaks together onscreen, an embrace was a daring enough statement: it meant you did love someone; you weren’t being frivolous. No heroine (or hero, even) worth their salt actually hugged anybody—in a romantic way—other than the love of their life. So telling someone to come on and give you a hug meant you were serious (even if the way it was said—as it is in some of the songs in this list—in a light-hearted way). 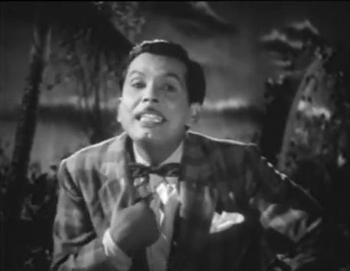 I’d been thinking, for the past few months, of doing a post on songs that a person uses to introduce himself or herself in Hindi cinema. Not the “Awaara hoon” or “Main rangeela pyaar ka raahi” type, which actually use a set of adjectives to describe the singer, but an actual introduction: this is my name, this is where I live, stuff like that. I can think of a number of songs along those lines, and it seemed like a good idea to do a list. 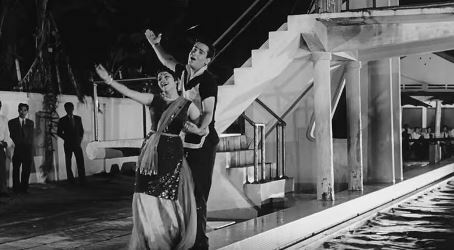 When I watched Love in Bombay last weekend (and saw Kishore Kumar belting out Maazaa naav ahe Ganpat Rao), I was reminded of that long-pending list. So here it is: ten of my favourite songs, mostly from pre-70s films, where the singer introduces himself/herself by name. These are, as I usually stipulate for my lists, from films I’ve seen. Not all of them are necessarily good songs, music-wise, but they invariably have something or the other—lyrics, picturisation, situation, whatever—which sets them apart for me.